I was left wondering whether Jesus weeps over my selfishness too. Do I cause heartbreak to God with my choices? Am I too busy to recognize and welcome God’s personal visit too? Lord, have mercy! God sent Jesus to the world so we could know peace. So we could recognize and welcome God’s presence into our lives. So we could serve God without fear, in holiness and righteousness as longs as we live. None of these things could happen without Jesus dying on the cross for our sins and being raised from the dead on the third day. But all of it can happen when we abide in the risen Christ daily. When we spend time chatting with Jesus. When we read the Bible and allow the Bible read us. So when we are wandering off the road that leads to heaven, we can be corrected and be led to repentance and back to the path that leads to life. So we can recognize and welcome God’s personal visit. So all can be well with our soul all the days of our lives. Thank you for reaching out to us in Jesus. Thank you for personally visiting each of us. Thank you for speaking to us in your Word. Thank you for steering us back into your will. Thank you for loving us so. 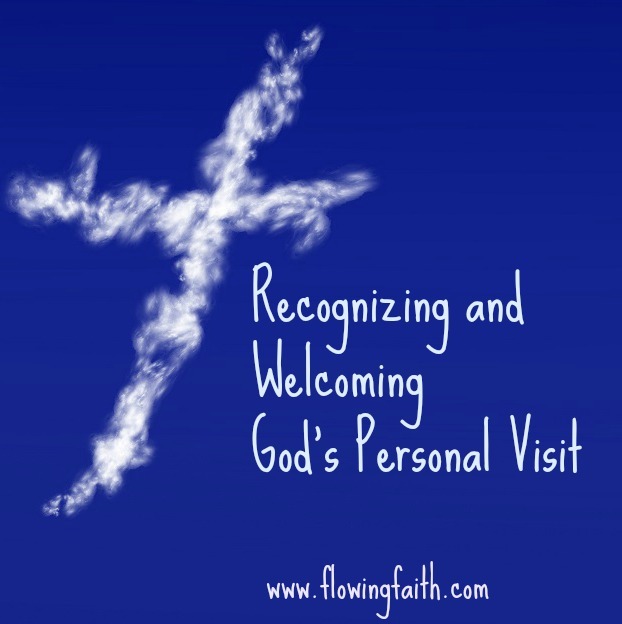 Q4U: Do you recognize and welcome God’s presence into your life? How does God speak to you in the Bible? Be blessed, my fellow pilgrim, as you read the Bible and allow the Bible read you! 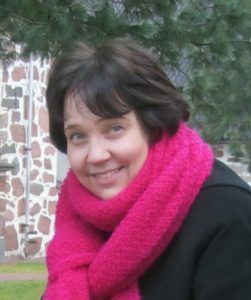 Image courtesy of Kevin Carden, design by Mari-Anna Stålnacke. Linking up today with Faith-filled Fridays, Five Minute Friday and Faith Jam.